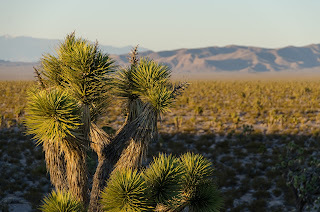 The San Bernardino County Board of Supervisors voted 3-2 to reject the environmental analysis of the Soda Mountain Solar project, placing a significant hurdle in the path of a project that would have threatened important wildlife habitat next to the Mojave National Preserve. 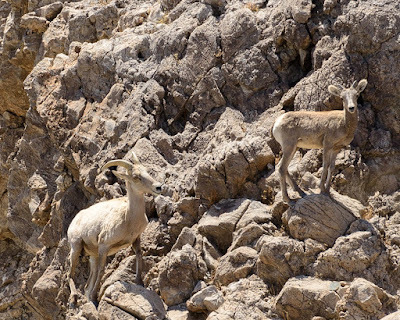 Supervisors Lovingood, Gonzales, and Rutherford expressed concern during a lengthy meeting today that the environmental analysis was inadequate and did not address the California Department of Fish and Wildlife's input regarding impacts on desert bighorn sheep. During closing comments, Supervisor Lovingood pointed out that projects of this scale would be better located on already-disturbed lands in the County, and mentioned specific sites as examples. 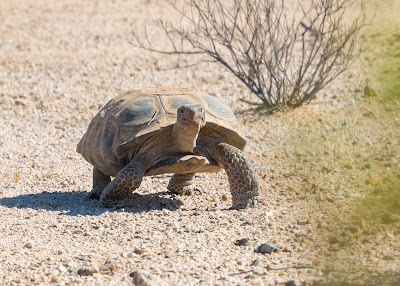 The desert tortoise population continues to experience a significant decline, despite 26 years of recovery efforts under the Endangered Species Act. Since 2004 - years into the recovery effort - the overall population has declined by nearly 32%, and the decline is even steeper in certain portions of the tortoise's range. This startling trend is not evident in the Department of Interior's public posture, which is optimistic on the ability of landscape-level planning to protect habitat linkages and project-level mitigation to offset local population losses. A closer examination of land management and mitigation practices calls into question Interior's resolve to arrest the decline of the desert tortoise as its habitat becomes increasingly fragmented. 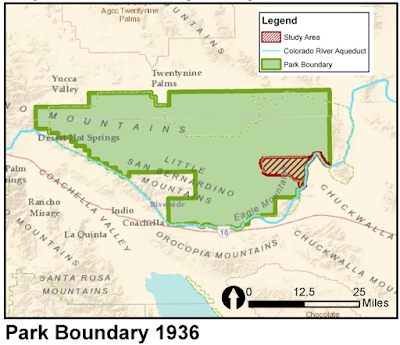 Please Take Action: Send an e-mail by May 27, 2016 to " JOTR_Study@NPS.gov " asking the National Park Service to restore the maximum allowable acreage of the Eagle Mountain area to Joshua Tree National Park. The National Park Service is considering restoring lands removed from what was then Joshua Tree National Monument in the 1950s (it did not become a National Park until 1994), but that restoration may not stop one more giant industrial project from moving forward in the Eagle Mountain area. The land in question was originally removed from the Monument by Congress to allow for the expansion of the Eagle Mountain Mine, but that mine is no longer in operation. 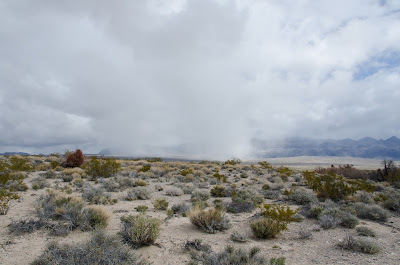 Although the massive open pit remains, surrounding desert wildlands still provide important habitat for wildlife, including an important desert bighorn sheep corridor. 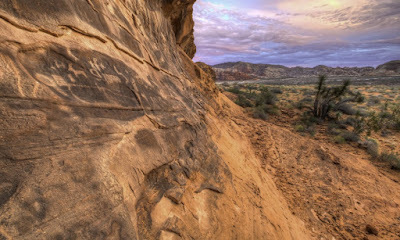 The Park Service is accepting public comments until May 27, 2016.